A “full-time Windows advocate,” a “Windows Insider since Day 1,” and affectionately, a “geek” — these are just some of the ways that our biggest fans describe themselves. 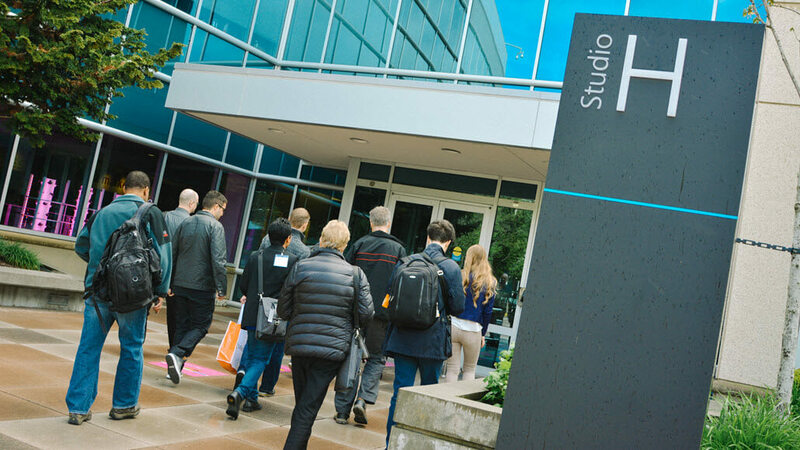 This fall, we’re bringing nine of them to Microsoft Headquarters as part of our second Insiders2Campus contest. These lucky Windows Insiders will fly to Redmond for an exclusive VIP experience — including tours, sneak peeks, and chats with our executives. This year’s contest had a special twist. To enter, Windows Insiders participated in a “Bug Bash” to help us spot issues in the latest Windows 10 Insider Preview Builds. These early versions of Windows contain features in development that aren’t yet available to the public. Thanks to feedback from Insiders about the Preview Builds, our engineers are accomplishing the tremendous: evolving the most popular operating system in the world with public releases twice a year. So who are our biggest fans who will fly out to visit Microsoft HQ? We’ll be welcoming Mustafa Al Ibrahim, a geoscientist currently pursuing his PhD at Stanford. In his contest entry, Mustafa revealed he was applying not for himself but on behalf of his sister, Zahra Al Ibrahim, who just completed her second year as a CS major at the University of Calgary with a nearly a perfect GPA. In Mustafa’s words, “The thing is that, while she enjoys coding and she likes math and statistics, she still feels that she is not good enough to be in the field. Add to that the fact that her classes are composed of male students, so she doesn’t feel that she is part of the community. She has never been exposed to a tech company environment.” We’re excited to welcome them both to campus. We were fascinated by the passion projects of the Insiders2Campus winners. For example, Samuele Dassatti (who was also a guest on our podcast this summer), is an Italian CS student, developer and “Windows Insider since Day 1.” He developed a digital calendar app called “Fluently,” which blends Windows Ink and Fluent Design — a need he heard fellow fans calling for on Feedback Hub. Samuele shared that the WIP community helped him uncover his passion for CS and gave him the confidence to launch his own IoT startup. Several winners of Insiders2Campus showed their love for inspiring others and sharing their knowledge of Windows 10. “Outside of work, I help in the local community with setups of Windows 10 and training sessions for my friends and family. They all love Windows 10!” said Simon Allison, an IT Team Leader at a local college in the UK. Robert Haluska, a K-12 educator from Illinois, USA, teaches both inside and outside the classroom. He’s the go-to person for friends and family seeking tech advice and troubleshooting. “Being able to talk about what is coming [to Windows 10] is an awesome experience for many of my students,” Robert said. We’re also excited to meet Simon Hess, from Switzerland, who shared, “I love being able to give feedback about my ideas and to make Windows better for everyone. » Simon works as Systems Engineer at a Nursing School in Bern. Congratulations again to the winners of the Insiders2Campus contest! Stay tuned for more contests and opportunities by becoming a registered Insider (it’s easy and free!) and following us on Twitter.